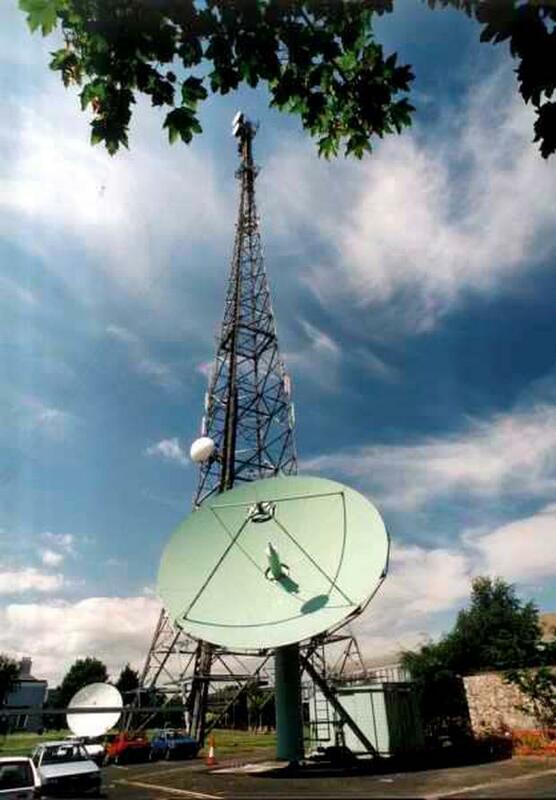 RTE is saying goodbye to its radio service for emigrants, Longwave 252. Ireland is saturated with British media, but Britain has never shown much interest in what we are saying or thinking. You can buy an Irish newspaper in any British city, but this is because of the presence in Britain of immigrants from Ireland rather than because British people care to know what is happening in Dail Eireann. If you line up representative samples of Irish and British people, and ask them a range of basic questions about the two countries, you'll find the Irish know more than British people about the UK, whereas Brits know almost nothing about us. We've assimilated everything from the Dandy to Shakespeare, from Kid Jensen to Jeremy Paxman. British people, of course, know Joyce and Yeats and Beckett, but in a different way - as world writers who happened to come from Ireland - when they're not claiming them as British, that is. As a teenager, I listened on a solitary earphone under the bedclothes to John Peel and Whispering Bob Harris on BBC Radio One on Medium Wave. If they played something ambient like Mike Oldfield or Tangerine Dream, it became impossible to tell the difference between the music and the static, and to this day, when I hear pieces from these artists, they always seem less interesting than I remember. Bob Harris's voice on medium wave had the quality of a lonesome breeze whipping itself up in the distant ether and faintly becoming discernible above the other elements. Later on, I fell in love with Radio Four, and nowadays have access to innumerable BBC TV channels via satellite. But we have never sought to woo Britain in a similar way. It's as though our national inferiority complex ordains that nothing about us could be remotely interesting to our neighbours - in spite of our 'shared history'. Even though Irish music is loved globally, it has never occurred to us to make it available, via for example, a satellite radio link. I've been thinking these thoughts since RTE's announcement of the closure, at a month's notice, of its Longwave 252 service, which has been available for the past decade and in that time provided a consistent and reliable link to Ireland for our diaspora living in Britain and continental Europe. The service ceases transmission on Monday, October 27. RTE informs us that the "vast majority" of its listeners will be unaffected by the move - 98pc, which by my calculation leaves 2pc, a proportion more or less equivalent to the number of citizens potentially implicated in a certain referendum coming up in the next year. Two per cent can come to mean everything or nothing - it depends on lobbying power. Tom McGuire, Head of RTE Radio 1, described the change as "an opportunity for the listener to tune in to the varied output of RTE Radio 1 in a new way." The availability of the radio service through new digital platforms provides a "much improved sound quality" and "broader access", he said. "Just as the audience migrated from medium wave to FM in the past, the end of long wave is compensated for by the availability of RTE Radio 1 on various digital platforms through the television in your home, the phone in your pocket, the tablet on your lap or the digital radio in your region." But for those in foreign parts who depend on 252 for a link to the old country, "digital platform" is about as meaningful as Tom talking about "digiform platters" or '"platonic diggers". For most of those for whom Longwave 252 was a lifeline to home, the kind of "alternatives" Tom spoke about are beyond reach, being both technologically opaque and far more expensive than simply buying a longwave-adapted radio receiver, an investment they'll already have made. Many of these people are elderly, impoverished and IT illiterate. The arguments for the closure of 252 are entirely spurious. The idea that longwave transmission is of an inferior quality to digital relates to a long-outmoded technology. New 'DRM (digital radio mondial)' radios are now available for a modest cost, which enable longwave signals to be received to near-FM quality. Longwave is 15 times as cost-efficient as FM - and 60 times as efficient as DAB. The 252 channel currently covers most of the UK and much of continental Europe in a manner that meets the needs of the diaspora without any additional investment. It can be received in cars, unlike internet-based services, which can be accessed only via high-capacity broadband. DAB reception requires the installation of specialised radios and car aerials, and a massive investment in transmission equipment. After 20 years of agitation by vested interests in the UK, just 1pc of UK cars have DAB receivers. DAB is already dead in the water, the equivalent of CB radio, Betamax and the '4-track' cassette tape. It's the horse with the long neck; neither equine nor giraffe but an evolutionary half-thought that was left behind almost from the moment it reared its ugly head. RTE claims, without elaboration, that the longwave service is 'very expensive' and unsustainable. But Longwave 252 requires no further investment from either broadcaster or listeners, whereas replacing it will cost millions of licence payers' euro. The truth is that RTE is engaged in a revenue grab aimed at further 'monitising' its services internationally - at the expense of a core commitment in its role as national broadcaster. The Broadcasting Act, 2009 requires RTE to establish and maintain a sound broadcasting service "in so far as RTE considers reasonably practicable" to Irish communities outside the island of Ireland. It's just six months since RTE spent more than €250,000 covering the UK visit of President Michael D Higgins, an event billed as part of an initiative to reach out to the diaspora. Now our 'national broadcaster' tells the diaspora to tool up or take a running jump.